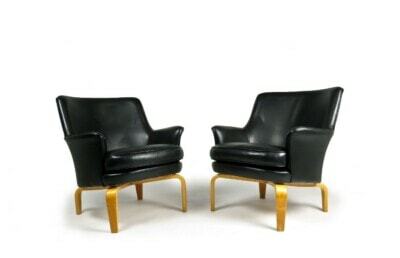 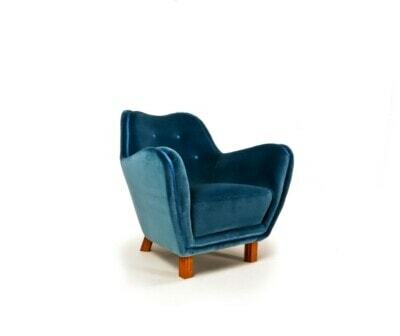 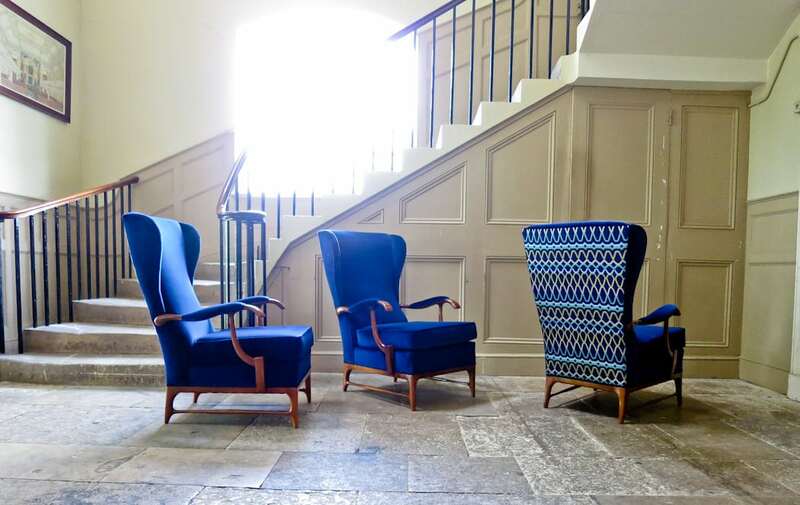 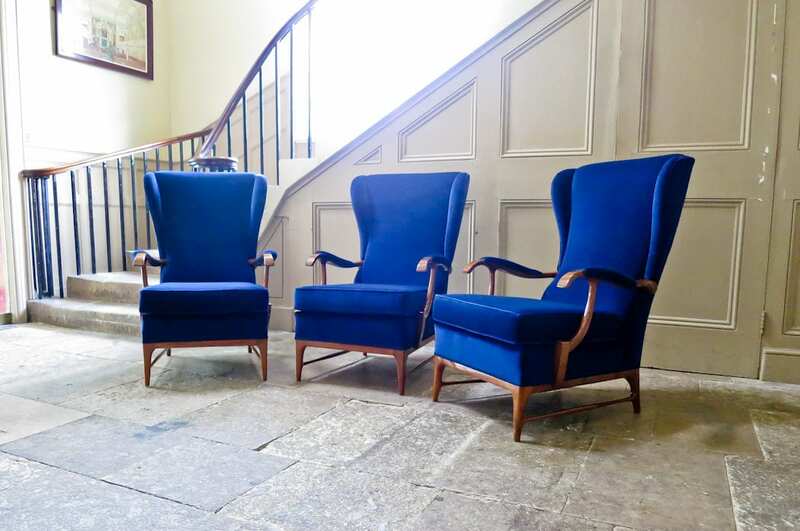 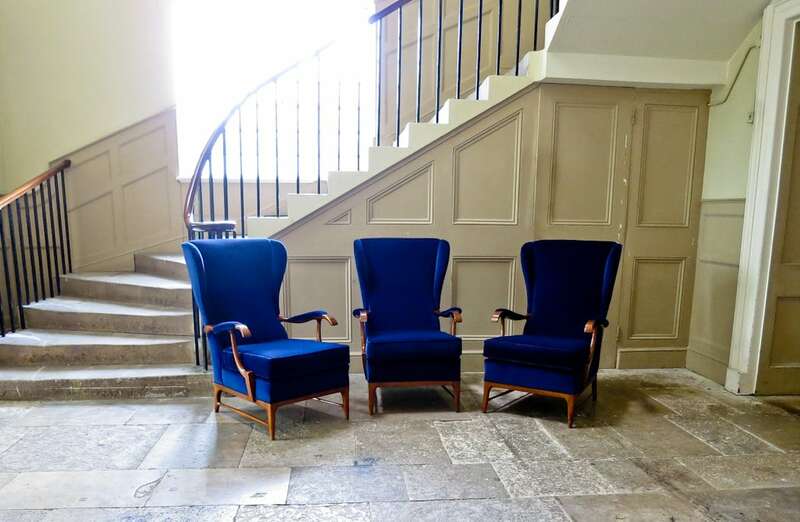 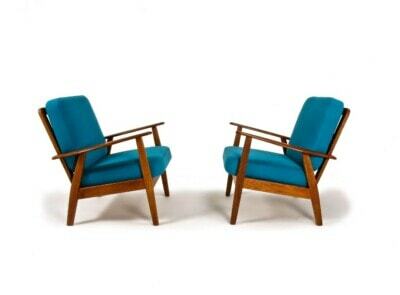 A rare set of three mid century wing back armchairs of small proportions designed by Paolo Buffa in the 1950’s. 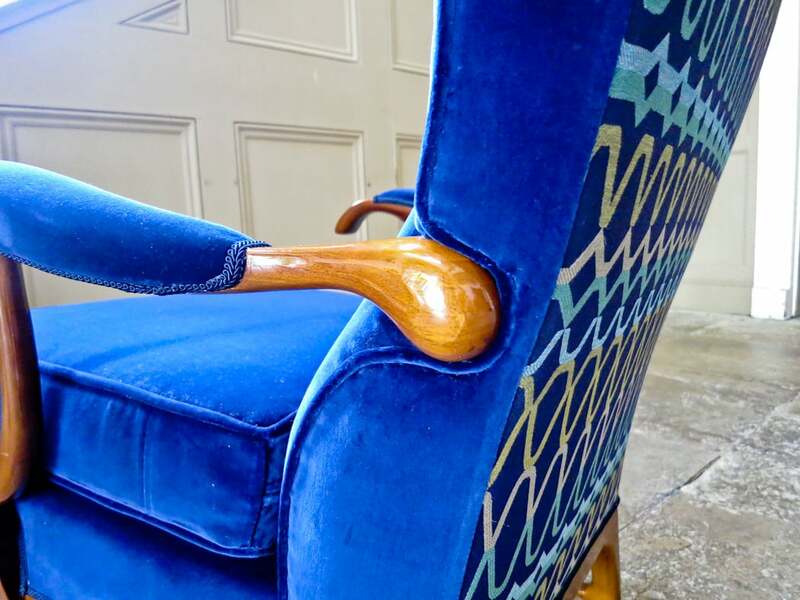 Walnut frame reupholstered with a royal blue velvet and backed with a 1950’s inspired geometric design fabric, all in an excellent original condition. 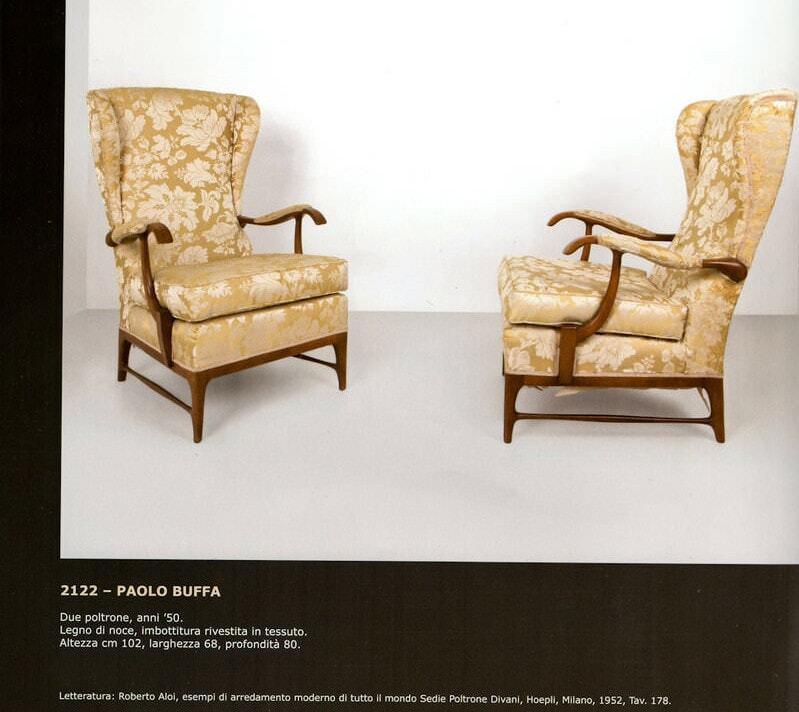 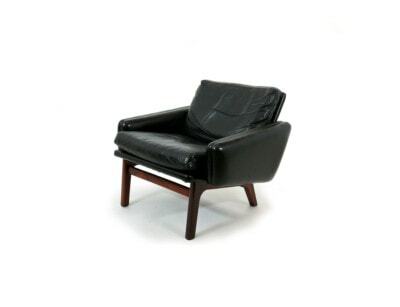 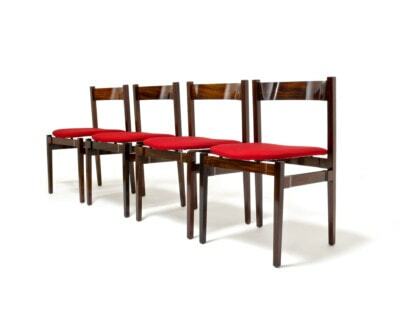 A beautiful original set of three armchair s designed by world famous Italian architect Paolo Buffa. 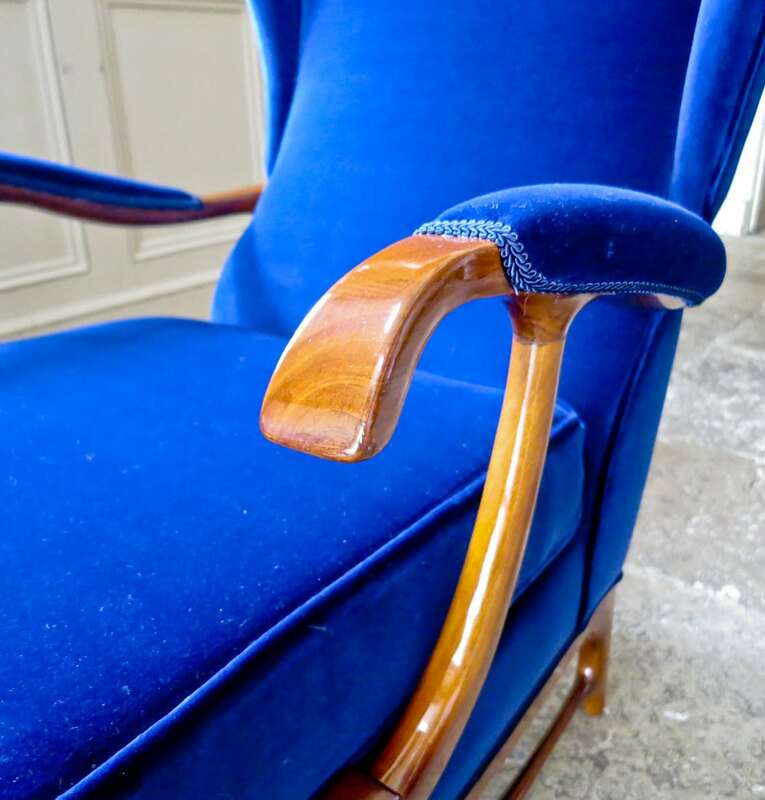 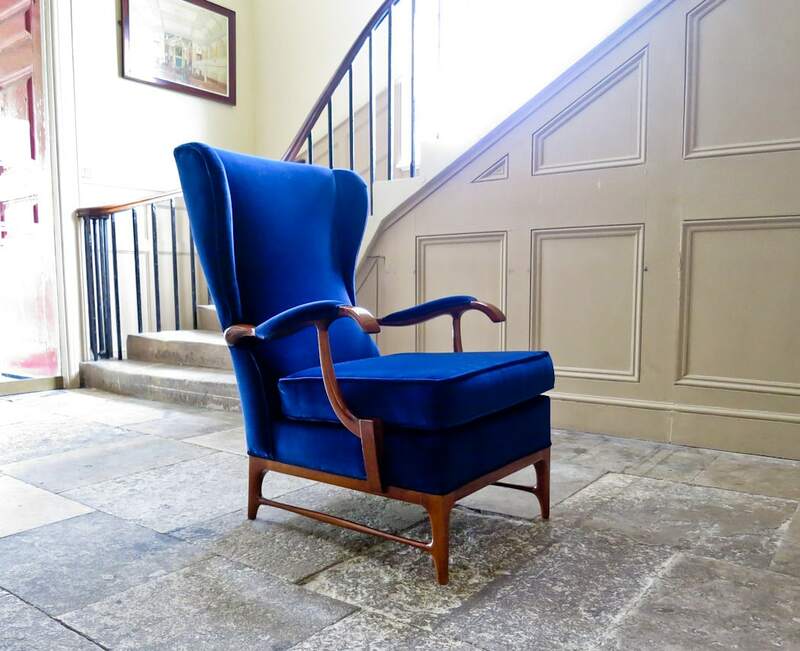 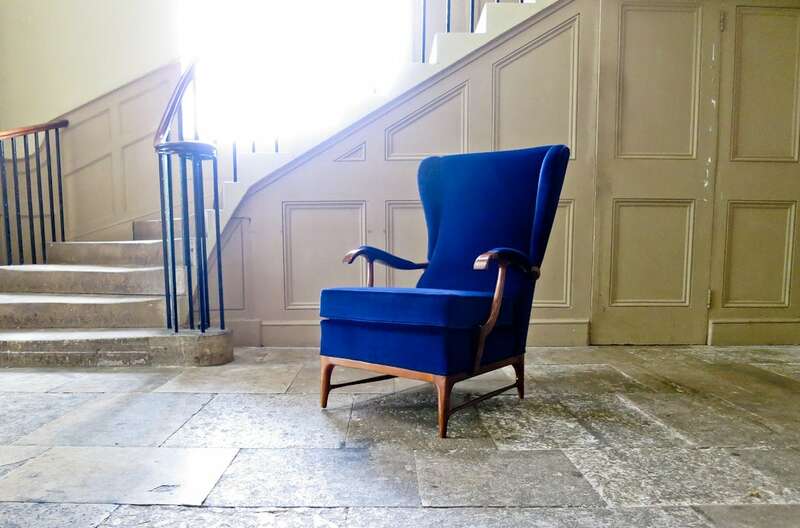 Beautiful colour and patina to the walnut offset perfectly against the rich luxurious dark blue velvet upholstery. 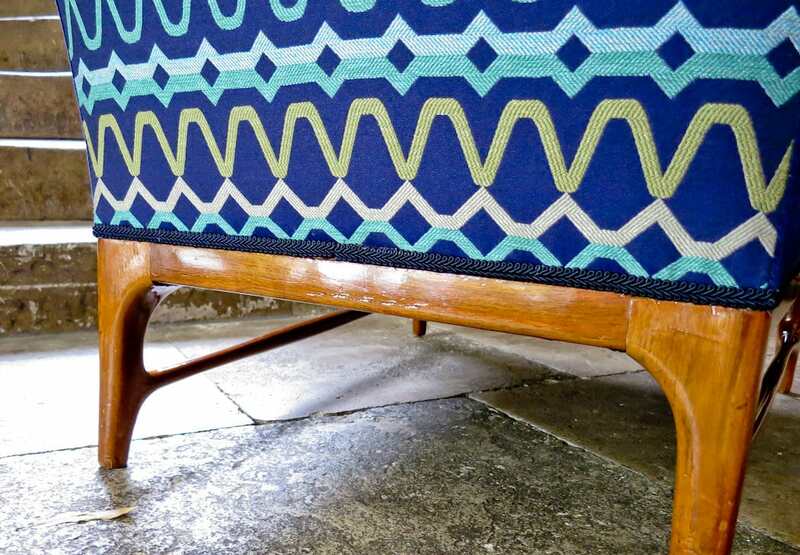 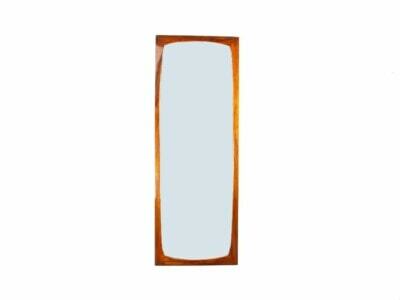 With the added twist of the captivating geometric patterned back. 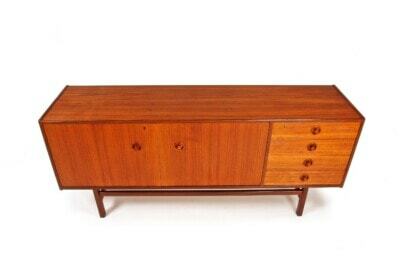 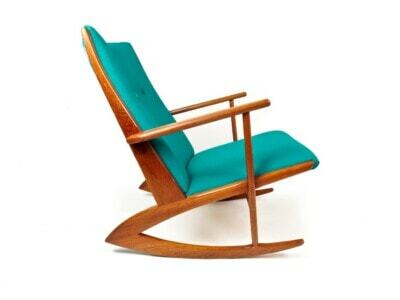 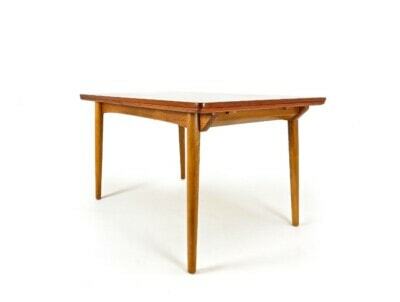 A beautiful example of 1950’s Italian design which definitely has the wow factor. 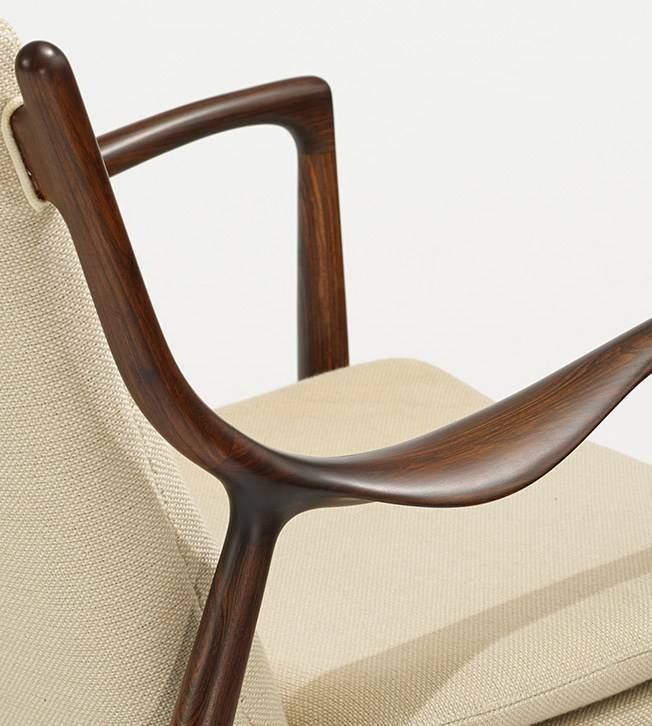 Paolo Buffa has taken the classic lounge chair, and by adding curves and organic forms has given it a thoroughly modern interpretation. 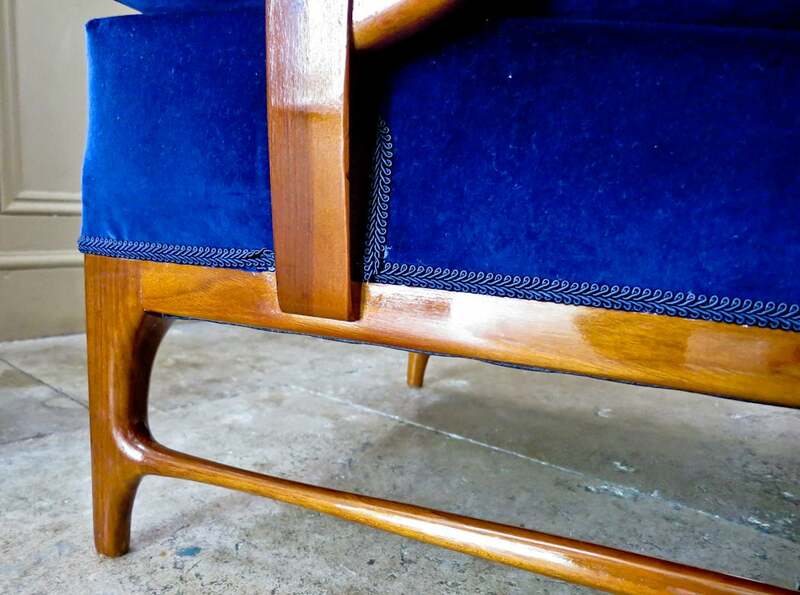 Lovely rich dark blue velvet complements the walnut perfectly, with the added twist of the geometric patterned back. 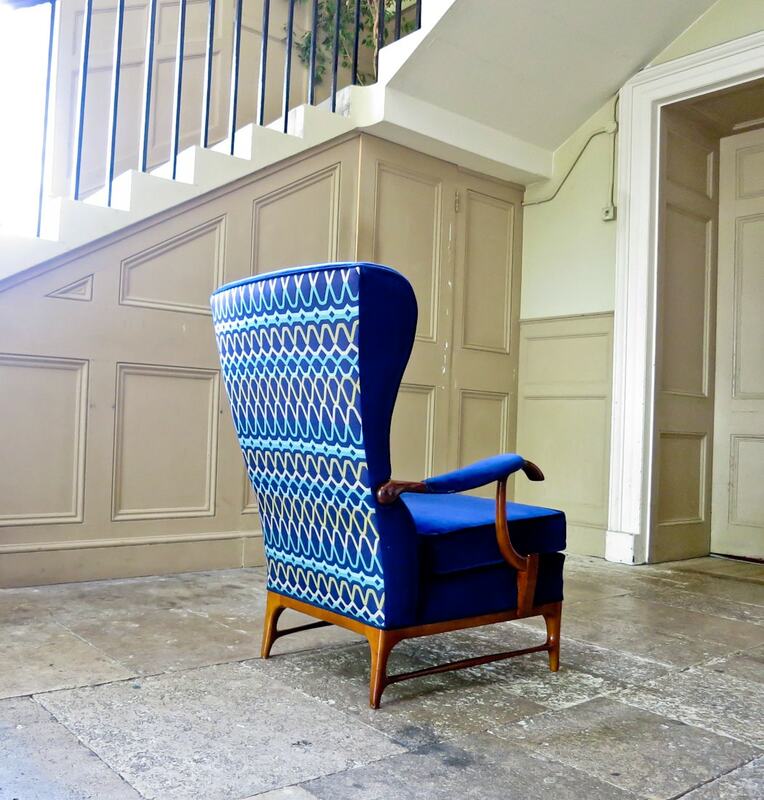 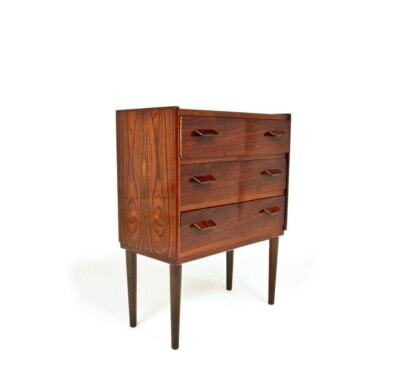 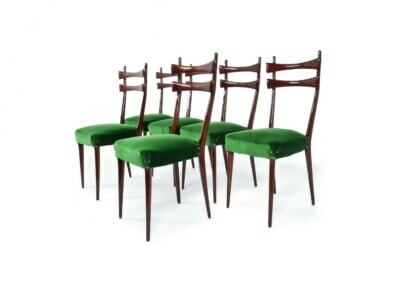 Carefully and attentively restored and reupholstered to look beautiful in any interior.